Former Defence Minister Mohamed Nazim’s legal team has slammed online news outlet Vaguthu over the publication of leaked documents allegedly obtained from a pen drive confiscated from the retired colonel’s apartment. “We note that the [allegations of the lawyers] committing illegal acts are baseless falsehoods fabricated with the intention of misleading those who did not attend the court hearings regarding the proceedings,” the press release stated. The Prosecutor General’s (PG) Office had submitted plans contained in the pen drive as confidential documents. The pen drive was allegedly confiscated along with a pistol and three bullets during a midnight raid at the then-defence minister’s apartment on January 18. Nazim’s legal team categorically denied taking photos of the documents, noting that court officers searched lawyers with a hand-held metal detector before entering the courtroom. As the confidential documents were shown to defence lawyers inside the courtroom and were not released, the legal team noted that lawyers would not have had the opportunity to take photos while court officers, state prosecutors, and judges were present. Moreover, as the law firm’s offices were in front of the justice building, none of Nazim’s lawyers took their phones to the court hearings, the press release added. The allegations by Vaguthu journalist Adam Nawaz were intended to unlawfully “challenge justice” in violation of court orders, influence public perception concerning Nazim’s trial and conceal the source of the documents, the legal team contended. At a hearing on March 11, state prosecutors claimed that plans on the pen drive showed that the then-defence minister was planning to attack President Abdulla Yameen, Tourism Minister Ahmed Adeeb, and Police Commissioner Hussain Waheed. The plans demonstrated Nazim had the “motive and character” to use the pistol and bullets, State Prosecutor Adam Arif told the Criminal Court. Nazim was sacked from the cabinet after the midnight raid on January 18 and arrested on additional charges of terrorism and treason on February 10. Vaguthu meanwhile claimed to have verified the authenticity of the leaked documents, which allegedly revealed “a huge conspiracy to murder Tourism Minister Adeeb” on February 14 and assassinate President Yameen in Singapore. 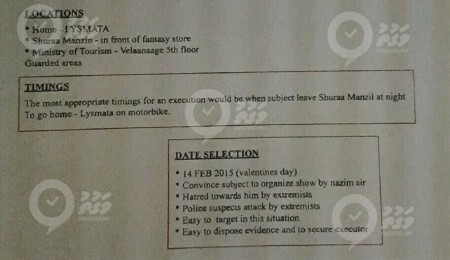 “The document indicated that Nazim should advise Adeeb to hold a show on Valentine’s Day and the attack was planned to happen at the show which will put the blame on the extremists and therefore the evidences can be destroyed and as well the attackers could escape,” reads the Vaguthu article. 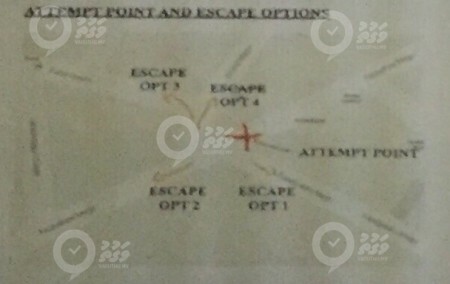 Adeeb’s assassins or marksmen were to flee on a speedboat in front of the Merry Brown restaurant and spend three days at Jumhooree Party (JP) Leader Gasim Ibrahim’s Paradise Island Resort, after which they would be flown to Bangkok, Thailand. 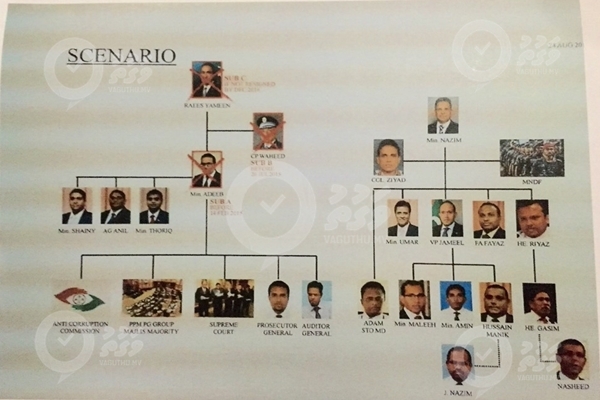 The documents also contained a chart showing the Yameen administration divided into factions led respectively by the president and then-Defence Minister Nazim. 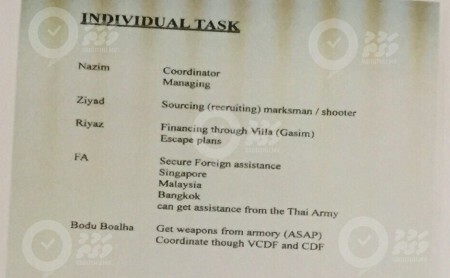 Nazim’s “team” included Vice President Dr Mohamed Jameel Ahmed, the Maldives National Defence Force (MNDF), Home Minister Umar Naseer, former Police Commissioner and current JP MP Abdulla Riyaz, Maldives Ambassador to Malaysia Mohamed Fayaz ‘FA,’ former State Trading Organisation (STO) Managing Director Adam Azim (Nazim’s brother), PPM MP Hussain Manik Dhon Manik, PPM MP Ahmed Nazim, Youth Minister Mohamed Maleeh Jamal, and President’s Office Minister Abdulla Ameen. “Tourism Minister Adheeb’s connection is extended to Environment Minister Thariq Ibrahim, Attorney General Mohamed Anil and Fisheries Minister Dr. Mohamed Shainy,” Vaguthu stated. The plot allegedly involved Chief of Defence Forces Major General Ahmed Shiyam, Vice Chief of Defence Forces Ahmed Mohamed, Gasim’s Villa Group, STO, and an individual identified as “Bodu Boalha Naseem” who was to secure weapons from the MNDF armoury. After President Yameen is assassinated, Vaguthu claimed that Dr Jameel would assume the presidency and back Nazim’s presidential bid in 2018. Upon winning the election, Nazim would “reconnect with the Zaeem team,” a likely reference to PPM leader, former President Maumoon Abdul Gayoom. 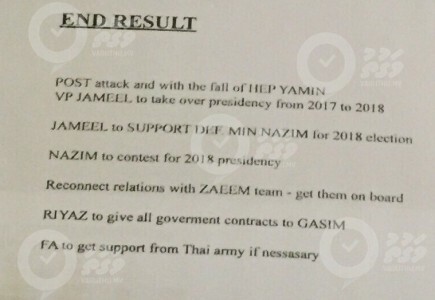 “All the government contracts will be assigned to Gasim after Nazim is elected as the President and if necessary, FA Fayaz will get the support from the Thailand’s army,” reads the Vaguthu article. Editor of Vnews Adam Haleem has received a death threat following heated confrontations during a meeting of the Maldives Journalists Association (MJA). “If you keep behaving however you like, we will make you disappear, we will behead you. Keep that in mind [expletive],” read the anonymous text message, received yesterday at 11:51pm. The threat was received just minutes after the conclusion of an MJA meeting, in which local media outlet Vaguthu is claiming its Chief Editor Musharraf Hassan had been the victim of an attempted assault by Haleem. The message received by Haleem comes just days after all media outlets gathered to call for an end to the culture of intimidation, after the recent abduction of Minivan News journalist Ahmed Rilwan Abdulla. Following last night’s disrupted meeting, MJA President Ahmed ‘Hiriga’ Zahir announced his resignation, citing the atmosphere as “not conducive” to hold the association’s scheduled elections. Haleem, whose award-winning journalism career has also included stints at Sun Online and Haveeru, has rejected claims of an assault, as has the MJA which released a statement denying the incident occurred. No other journalists present at the meeting have reported the attempted assault, said by Vaguthu to have involved a chair being aimed unsuccessfully at their editor. 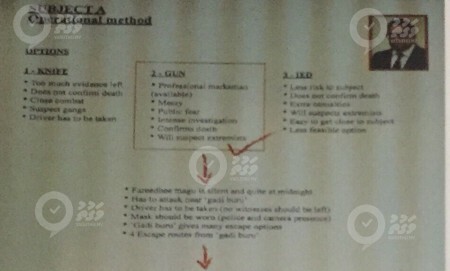 The paper has also alleged that both the MJA and Haveeru had defamed the paper in the subsequent reporting of events. Haleem noted that the threatening text was received 15 minutes after the meeting ended, with Vaguthu soon reporting the assault having taken place. He also noted that he had received messages last night which appeared to have come from Vnews owner and Maamigili MP Gasim Ibrahim, calling upon him to resign. “Gasim called me after I received texts in his name and said he had not sent them. So we have to find out where these messages came from,” said Haleem. Gasim himself was the subject of death threats last week, with the resort owner alleging opposition MPs to have been behind the text threats sent to the Jumhooree Party leader. In a letter sent to Police Commissioner Hussein Waheed, Gasim suggested the threats had been sent using number duplicating software which gave the appearance of having been sent from a different individual. The media’s growing concern over a number of attacks on staff and property prompted a landmark joint statement from all the country’s media outlets, signed on Saturday (August 23), expressing “grave concern” over the disappearance of Rilwan 17 days ago. “We will not step back, or put down our pens, or silence our tongues, or hold our thoughts in the face of such threats. We will do whatever is necessary to secure our right,” it read. “Efforts have always been made by various parties to silence journalists. Many journalists have been assaulted,” said the document, representing 12 different organisations. As the police’s investigations into Rilwan’s disappearance continues, Police Commissioner Waheed met with senior officials from telecoms company Ooredoo regarding anonymous text threats. As the threatening texts were “the issue that public has expressed concern with the most,” discussions focused on ways to speedily resolve the issue, explained a police press release. Around 15 journalists from across the media community received SMS threats in relation to their outlets’ coverage of gang-related violence earlier this month, while more threats were reported last week, making specific reference to Rilwan’s disappearance. The office of former President Mohamed Nasheed has strongly condemned the false attribution of a quote by Sun Online and Vaguthu from an article published this week in the Irish Times. 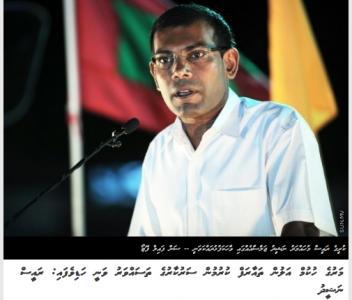 In a story published on Monday (August 18) under the headline, “Government’s image tarnished after reintroduction of death penalty: President Nasheed,” Sun Online reported Nasheed as saying that the ruling Progressive Party of Maldives (PPM) was attempting to enforce Islamic Shariah and that the government’s image has been tarnished in the international arena as a result of reintroducing the death penalty. The former president’s office, however, noted in a press statement yesterday that both Sun Online and Vaguthu falsely attributed a section of the Irish Times article as a direct quote from Nasheed. ‘You can’t have democracy without a country. Since the election, the government has been excoriated internationally for reintroducing the death penalty; under the law children as young as seven could potentially be sentenced. The PPM is moving towards sharia law,’ Sun Online and Vaguthu quoted the opposition Maldivian Democratic Party’s (MDP) acting president as saying. “However, President Nasheed said no such thing in his interview to the Irish Times,” the former president’s office said, explaining that Nasheed’s direct quote was “You can’t have democracy without a country,” while what followed was written by the author of the article, Mary Boland. Sun Online has since amended its article and removed the quotation marks. The new version states that the Irish Times article was “based entirely” on Nasheed’s interview. Sun also noted that Nasheed listed sea-level rise and Islamic extremism as the biggest threats facing the Maldives, warning that a “reversal of democracy is under way and dictatorship once again looms”. Both during last year’s presidential election and his three years in office, rival parties and religious groups accused Nasheed of being anti-Islamic, promoting secularism, and pursuing liberal policies. The MDP presidential candidate had denied the allegations and assured that “other religions” would not be introduced under his administration. “But the news [on Irish Times] was written based on an interview Nasheed gave to the paper more than the paper’s editorial opinion, when you look at the whole context of it,” he said. The correction or removal of the direct quotation was made “within a very short period” after publication, Hiriga said, adding that formally issuing a correction or retraction was not warranted as it was not “a problem with our information”. “We corrected it when it came to our notice. The whole [Irish Times] story was based on what Nasheed said. It wasn’t the best presentation from our reporter with the inverted commas,” he continued. The statement from the former president’s office meanwhile condemned “in the strongest terms” the dissemination of “false information” from the news outlets. The statement called on journalists and editors to be more mindful of publishing incorrect or “misleading” information and appealed for impartial and unbiased reporting. The statement urged reporters to take more care in translating from other languages into Dhivehi. Fifteen journalists received murder threats via text message on Sunday warning them against reporting on gangs in the wake of street violence which has seen at least one death and nine injured. “[We] will kill you if you keep writing inappropriate articles about gangs in the media,” the message from an unlisted number said. Journalists from Haveeru, Raajje TV, Maldives Broadcasting Corporation (MBC), VTV, Sun Online, and Vaguthu received the death threat. Maldives Journalists Association (MJA) president and a long time journalist Ahmed ‘Hiriga’ Zahir said the threats have been brought to the attention of the Maldives Police Service (MPS). “It is still unclear who are behind these texts, or how they are sending it. Regardless, we don’t take this as a simple matter. We have requested the police to look in to this,” he said. A police spokesperson condemned the threats and said the case is under investigation. An IT expert with experience in the telecommunications field told Minivan News it would be difficult to identify the culprit if the text messages were sent through an online mass text message service. Haveeru journalist and recipient of Maldives’ journalist of the year Fazeena Ahmed said journalists have received similar threats in the past, specifically during the Supreme Court’s delay of presidential polls in 2013. “I don’t think think this should be taken lightly. Especially considering that parliamentarians have received similar threats and that there is a lot of violence going on these days, I would say this is very serious,” she said. Two more Haveeru journalists received the same text message. Rajje TV journalist Ibrahim ‘Asward’ Waheed, who nearly died from a fatal beating in February 2013, was among four Raajje TV reporters who received the text message. “I still haven’t got justice for the life threatening attack against me, and here is a threat once again. I take this very seriously. It has been brought to the attention of the police, I hope they will investigate and provide necessary protection,” he said. Meanwhile, private broadcaster DhiTV reported receiving threats via phone calls following a report on gangs on Friday. “Last Friday after we aired a report on gang violence, our office received two threatening phone calls. This happens whenever media cover gang related news,” CEO and Chief Editor of the channel Midhath Adam told Minivan News today. Raajje TV reporter Ahmed Fairooz believes the threat may be a ‘political ploy’ possibly to divert attention. “One reason I believe this is because I don’t cover crime at all, I work at the political desk. So there is no reason gangs should worry about me. And the fact that MP Eva Abdulla received a similar message with political references also shows that,” he said. “National police are also with me. Through a single order from me to Special Op[erations] boys you tiny MP can be shredded into pieces,” read one message sent to the Galolhu North MP. Fairooz said he had received threats in the past from political activists and more recently following a report on Maldivian militants fighting in Syria. Vaguthu journalist Maahil Mohamed also said these threats are likely to be sent for some other purpose than by actual gang members intending to attack journalists. But regardless of the reason behind it, Maahil said it would not keep him from covering such news. A threat analysis report from the Maldives Broadcasting Commission in May revealed that thirty percent of broadcast journalists are reluctant to report gang activity. The report found a staggering 84 percent of journalists surveyed reported being threatened at least once, while five percent reported being threatened on a daily basis. The report also identified gangs, politicians, and religious extremists as threats to media freedom, and claimed approximately 43 percent of journalists do not report threats to authorities. In addition to threats, Raajje TV offices were destroyed in an arson attack in October. The station has accused the police of negligence in preventing the torching of their headquarters and the attack on journalist Asward. DhiTV’s Midhath also noted that coverage of the Armenian drug traffickers the Artur bothers was followed by threats. 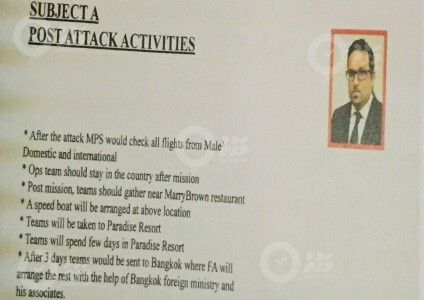 The brothers were alleged portrayed in some outlets as having connections to Minister of Tourism Ahmed Adeeb. In 2010, staff members of DhiTV and Haveeru were attacked following the coverage of the release of a convicted gang leader in 2010. A Haveeru employee was stabbed with a knife in the incident. On Saturday, six MP s from the opposition Maldivian Democratic Party (MDP), including three female MPs received murder threats via text message. Former MP and moderate Islamic Scholar Dr Afrasheem Ali was brutally murdered at his own home in October 2012, while MPAlhan Fahmy was unable to walk for months following a stabbing in February.